In 2014, Cleveland's iconic "Free Stamp" was disassembled, sanded and repainted. It’s one of the city’s iconic images. But in 2014, it wasn’t in great shape, so a repair crew came in to sand and repaint the massive work. Northeast Ohio is overflowing with public art, from bronze heroes on horses to enormous murals on bridges. These eye-catching additions to the local landscape are usually unveiled with great celebration, but what happens after that? Some local government and corporate leaders are starting to pay more attention to the maintenance of outside art. 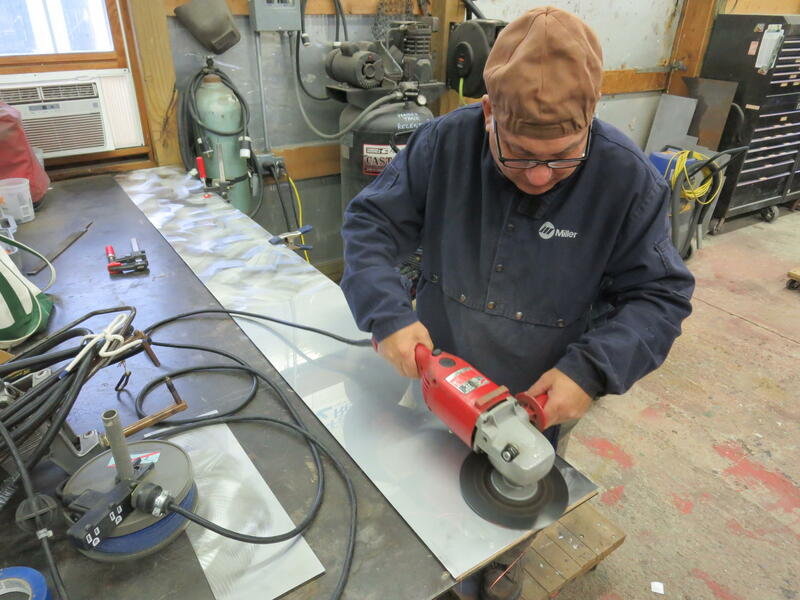 During the repair, Mark Erdmann ran his hand over tiny holes scattered across the stamp’s handle as a contractor sanded off some flaking paint several feet away. 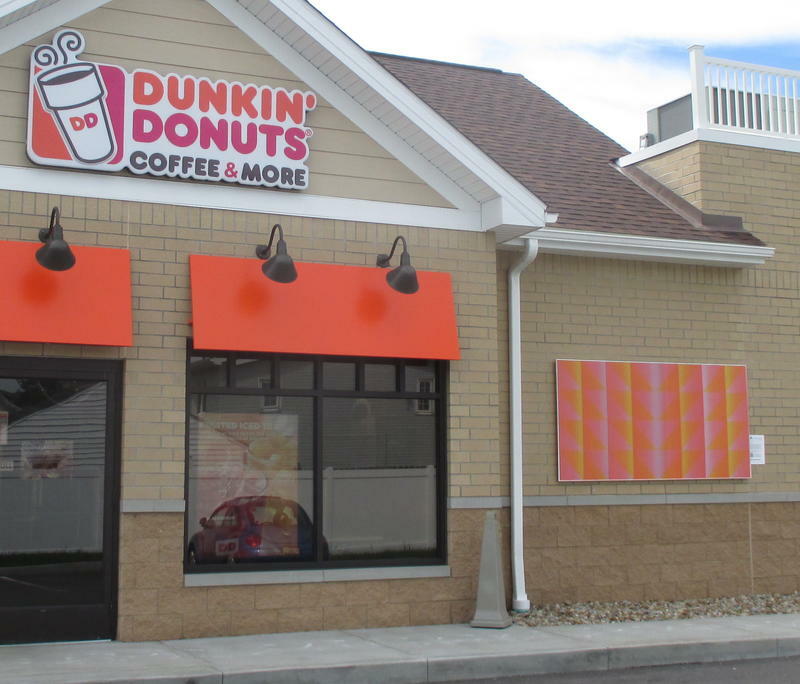 "A lot of this has to do with previous paint coatings, because it was repainted in 1999," Erdmann said. "Since they applied it by roller, it gave it that kind of orange peel effect." Erdmann is a conservator for the Cleveland-based Intermuseum Conservation Association (ICA), which got the contract to restore an artwork suffering from previous repair efforts that fell short. 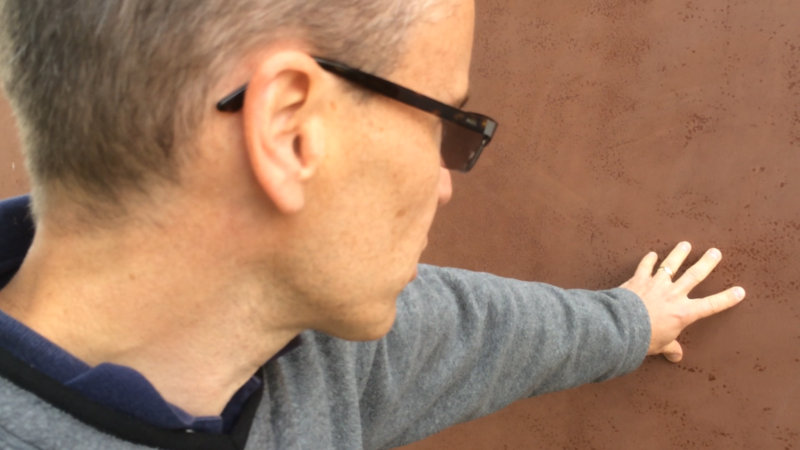 ICA's Mark Erdmann inspected the pitted surface of "Free Stamp" before it was resurfaced. "I think the challenge of this piece in particular - and to be honest on many of the projects that we work on - is that you have an idea of what’s wrong with the piece, you come up with a treatment plan, and then you have to be able to revise your plan," he said. "And we’ve done that in this case, because of what we found under the paint." What they found was severe corrosion under that painted surface, which had been touched up in a slightly off-shade of red. The rehabbed Free Stamp is now back up to original specs. Tiffany Graham is a Project Manager at Cleveland’s LAND studio, an organization that promotes the use of public art across the city. She notes that the ICA technicians used artist-specified colors for the rehab job. "Artists are becoming a little bit more savvy when it comes to public art projects by saying: Here’s my recommended maintenance plan for this," Graham adds. 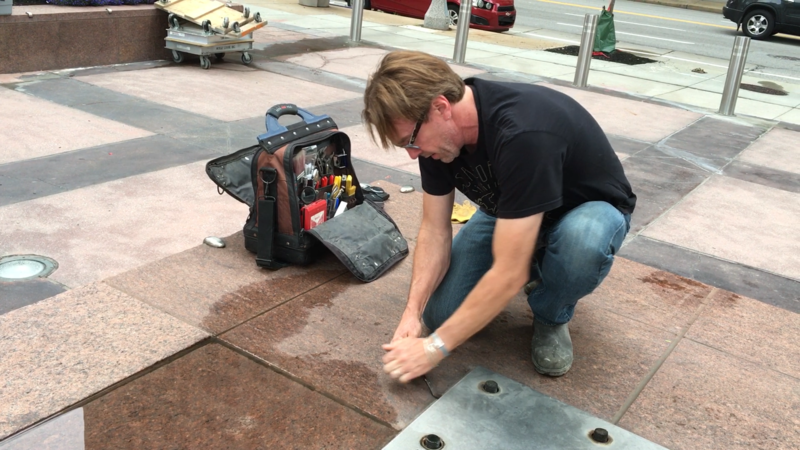 McKay Lodge's James Gwinner prepares the base for the George Rickey sculpture at the PNC building. But artist George Rickey wasn’t alive when it came time to address the repair of his kinetic sculpture, “Triple-L Excentric Gyratory Gyratory III,” last year. The 38-foot-high piece sits in the plaza in front of the PNC Bank tower at East 9th and Euclid. It’s been there for over three decades. It features slowly-spinning pieces of stainless steel twisting in the wind. Then recently, something went wrong. James Gwinner of the Amherst-based McKay Lodge Art Conservation Laboratory says some nearby tree branches had grown into the path of all that gyrating. "It happened so slowly, no one really caught it," he says. "It happens very frequently with public art that foliage overgrows the art work and can cause damage. It’s fairly common." Some McKay Lodge staffers traveled to George Rickey’s New York studios to learn repair techniques from the artist’s assistants. PNC paid for repairs. McKay Lodge's Tom Podnar adds a new glint to the Rickey sculpture. Regional president Paul Clark thinks that bringing back this sculpture was a lesson. "You think of it as part of the property, but it is a piece of art," Clark says. "I think we’re learning now, more and more, to treat it as such. It won’t be 30 years before we recondition this again." Cleveland planning director Fred Collier says the city recently created a new position, Public Art Coordinator. The job will include tracking the condition of city-owned artworks so that eventual repairs can hopefully be built into the budget. "We take care of our facilities, but I think there needs to be some thought given to maintenance long-term when we talk about public art citywide," Collier says. "Because, something that’s initially exciting can become an eyesore later on." LAND studio’s Tiffany Graham says the city and some area corporations are starting to focus on the repair and maintenance of their public artworks. "I mean, all of us own houses, cars, other things that we don’t expect to last forever," she says. "So, how are we taking care of them and planning for this? They're an asset for the city and we want them to remain that way."